Heavy Duty drop in batting cage frames are ideal for single outdoor cage setups. 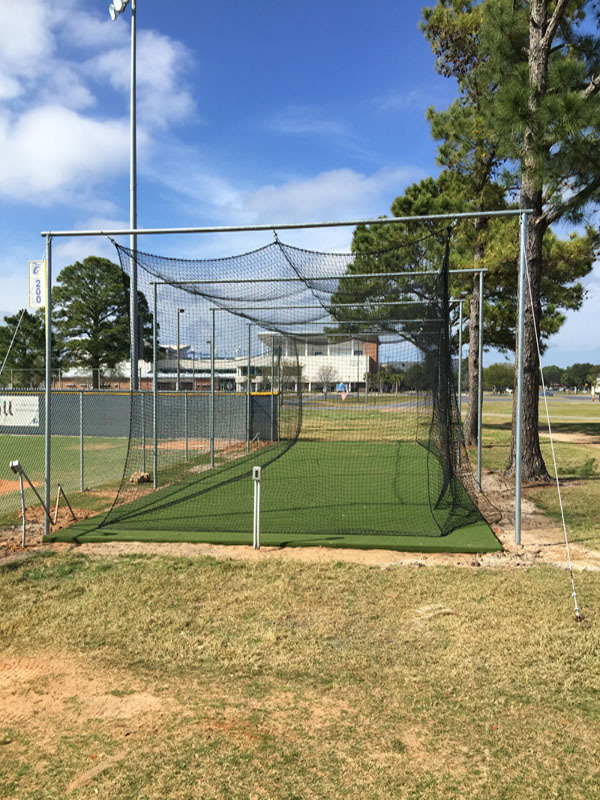 Our heavy duty batting cage frame is custom built using 2″ schedule 40 galvanized steel pipe. The cross bars contain end sleeves that drop-into the vertical posts. Posts are designed to be embedded in ground with concrete back-fill or bolted to an existing slab. Each section contains two vertical posts and a cross bar with three eyebolts spaced the appropriate width for the netting to be hung. These frames are designed to work with our standard outdoor cable kits with guy wires and ground anchors at each end. Cable kits and guy wire kits sold separately. Frames can also be designed with diagonal bracing at ends in lieu of guy wires. Contact us for more information or to order your custom drop-in frame. PRICED PER SECTION. 5 sections are recommended for most standard size batting cages.